Solar energy is not only free but – with some time restrictions – it is also available everywhere. Solar cells are lighter and less expensive than carrying energy in the form of batteries or fuel to areas where being separated from the grid is unavoidable, such as in stationary systems in remote locations, in mobile outdoor applications or in satellites. The system is designed to be integrated into a production line for thin-film solar cells on rigid substrates. The system's task is the deposition of an anti-reflective film that reduces the reflection of sunlight at the outer side of the solar cell and thus directs more light to the solar cell for energy production. 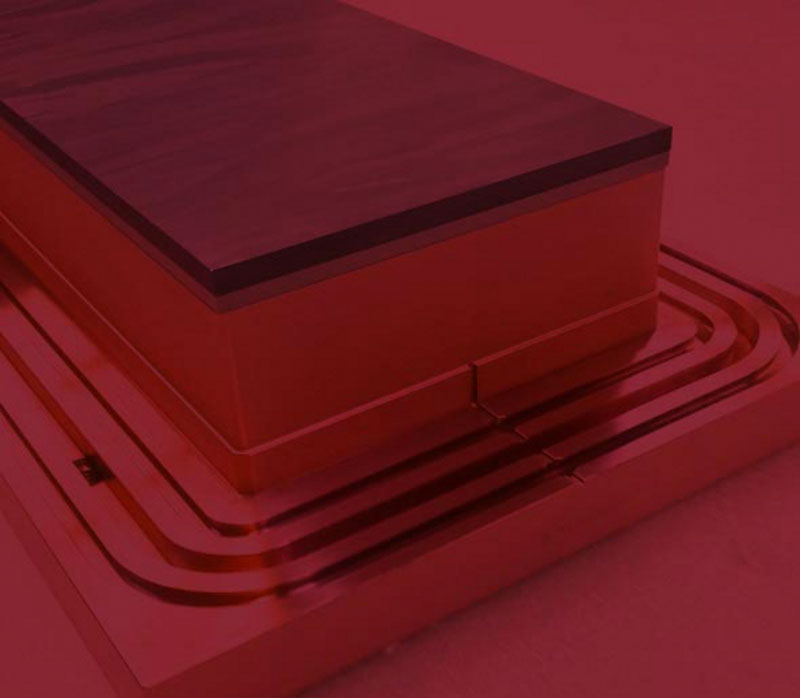 The layer stack is formed with multiple dielectric layers that need to be applied by – sometimes reactive – sputtering. As part of a 24/7 production line, the system needs to automatically take the substrates from the carrier boxes supplied to it and place them there again after they have been coated. Inline systems are ideal for this type of continuous production task with a high output. The FHR.Line.1100.V is a vertical inline system where the substrates to be coated are moved in an upright position in front of highly productive rotary sputter sources. The individual substrates are supplied in boxes, from which they are taken and placed in large carriers (substrate holders) by a loading robot programmed by FHR. Inclining the system by 7° relative to vertical axis ensures that the substrates remain on the carrier. The carriers pass through the system with a cycle time of < 8 minutes, during which they are brought into a vacuum in several load lock stages separated by valves, then heated, coated and released back to the atmospheric pressure again in another load lock. A carrier-return system brings the carriers back to the loading cell, where another robot removes the substrates and puts them back into transport boxes. The carrier is then reloaded by the first robot and used again.